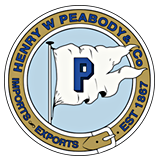 Henry W. Peabody & Company is the premier merchant trader of high-quality burlap, jute and woven polypropylene products for use in the agriculture and textile packaging industries. As the trusted source for these materials, our customers have come to rely on our specialized service and our unwavering commitment to quality. Our fulfillment of orders is adapted to our customer’s ever changing requirements. We are more than happy to configure mixed loads of different products, each to unique specifications. Tailored handling is our hallmark. We get the highest quality goods to our customers in a reliable and timely fashion. Customer service is our greatest strength and asset.